"Awards season” is upon us in the watch industry, a time when various national media, magazines and organizations bestow numerous jury-based or publicly-decided honors upon watches and brands. I myself take part in several juries, such as the SIAR awards presented by Tiempo de Relojes – which was celebrated a few weeks ago in Mexico City – and the Watch of the Year by Poland’s major source of horological information, chronos24.pl. The mother of them all is the Grand Prix d’Horlogerie de Genève, which is unanimously recognized in the watch industry as the primary award. 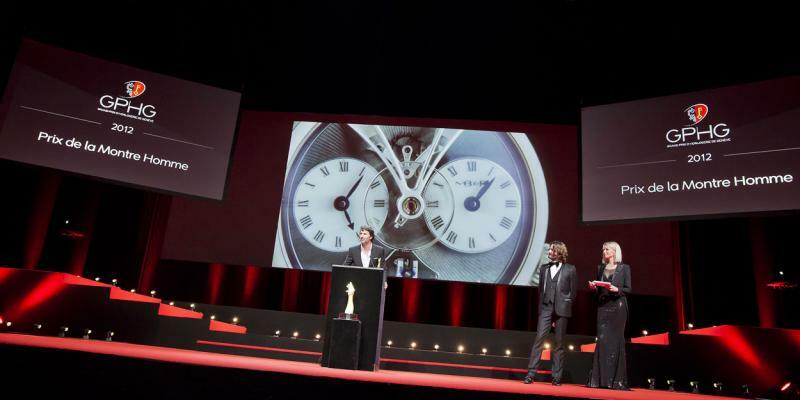 The 2013 edition of the GPHG, as it is known in watchmaking circles, is the thirteenth edition – and it represents the second edition of the GPHG since undergoing a dramatic transformation to take it beyond the borders of watchmaking and into a place where it can and will be seen and recognized by those outside the intimate circle of high watchmaking’s insiders. Perhaps something like the Council of Fashion Designers of America’s Fashion Awards, whose goal is to position fashion design as a recognized branch of American culture and art. 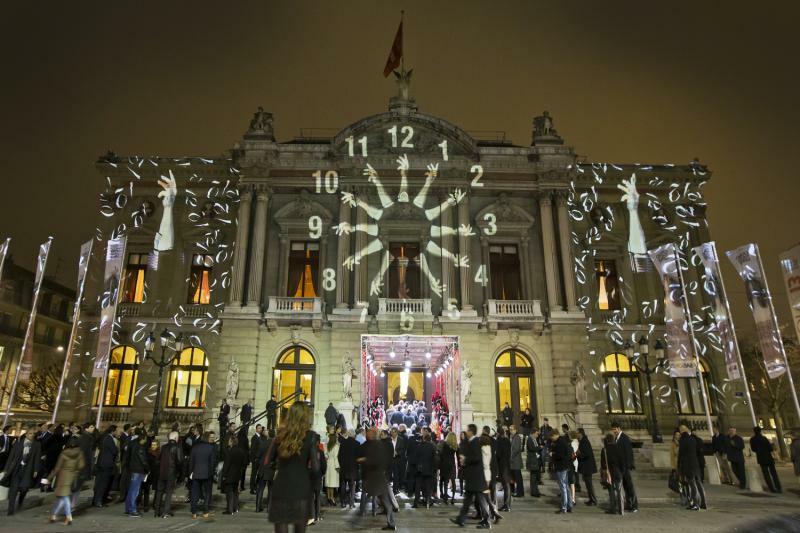 For Geneva, and Switzerland in general, it is obviously important to further the culture of watchmaking as well. And the GPHG is one tool with which this is now being accomplished – in a very entertaining and exciting way. I feel that Bacs and the Grand Prix Foundation have more than succeeded in this first major step toward integrating every walk of watchmaking – from the “humble watchmaker” to the celebrity rock star – which should eventually lead to profound international recognition and a perhaps multidisciplinary, macrocosmic style of interpreting the timepieces to be judged, one that began last year with the GPHG’s “new and improved” jury. To begin with, there are two true watchmakers on the jury, which has not yet been the case outside of last year’s participation of Denis Flageollet, technical director of De Bethune (and watchmaker par excellence), whose DB28 had won the previous year’s Aiguille d’Or, the evening’s main prize: this watch is chosen by the jury out of all watches entered as the standout. 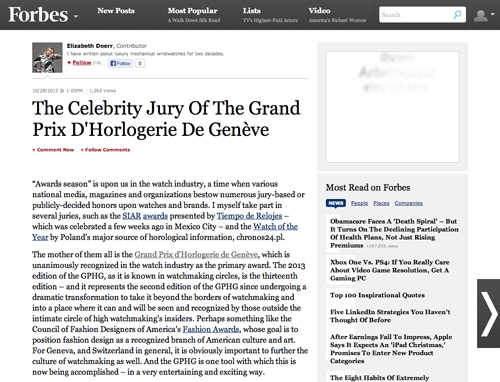 As per the rules of the GPHG, the CEO or founder of the Aiguille d’Or’s winning brand joins the following year’s jury. As TAG Heuer’s Mikrogirder took home the trophy last year, TAG Heuer CEO Stéphane Linder joins the jury for the 2013 edition. As per the rules, defending champion TAG Heuer may not compete in this year’s competition while its CEO or founder is on the jury. Moritz Elsaesser, owner of Mainly Watches, a specialty repair shop for complicated Swiss and German timepieces, is one of the watchmakers on this year’s jury. Growing up in Germany, he immigrated to the United States in 1986. He attended the Bulova School of Watchmaking in Queens, NY – leaving the corporate real estate world to do so – a few years later upon realizing, “That nobody was available to service my extensive watch collection.” This was, after all, the era of the so-called quartz crisis. “After graduating from there I went to [premier watchmaking school] WOSTEP in Neuchâtel, Switzerland and had the great fortune to become a student of the great Antoine Simonin, who is also on the jury.” Elsaesser, who founded Mainly Watches, Inc. in 1999 as a repair shop for highly complicated timepieces, was the recipient of the 2005 Henry B. Fried award given by the National Association of Watch and Clock Collectors for excellence in the field of watchmaking. Antoine Simonin is a watchmaker, teacher, former director of WOSTEP and now a publisher since 1984. His publishing house produces some of the (literally and figuratively) heaviest tomes on watchmaking and the history thereof available, and his expertise lies in vintage timekeeping and horological books. It is an honor for him to grace the 2013 GPHG jury with his presence, where he will undoubtedly present a historically-minded view of the offerings. And in that same vein, the GPHG jury welcomes back Dominique Fléchon, historian and horological expert, who now works exclusively with theFondation de la Haute Horlogerie, where he, among other things, curates the organization’s interesting exhibitions. Fléchon is the author of many comprehensive reference books, including last year’s The Mastery of Time. Added to this year’s jury are two well-known experts in the design field, which I can tell you from personal experience is not something to be taken lightly. Going into the first GTE Superwatch competition several years ago as a member of that jury, I was apprehensive about having to spend an afternoon arguing the valid points of design vs. function. After the afternoon ended, however, I felt enlightened, sophisticated and liberal, learning so much more than I ever thought I would. Which brings me to the GPHG’s design experts: I expect that designer/creator Philippe Starck and architect/city planner Jean-Michel Wilmotte will add a great deal to the depth of this jury as they will see elements in a much different way than we dyed-in-the-wool lovers of mechanics will. Then there are the collectors. This is a small group of influential tastemakers in the watch world, perhaps the only people who can sway brands once they have put luxury wristwatches out on the market. The 2013 GPHG jury proudly boasts seven collectors, each of whom brings a different viewpoint and skillset to the (round) table in deliberating what should be named the best in the world. When I asked jury president Aurel Bacs about Viren Bhagat, he became quite animated. “He is perhaps one of the top five jewelers in the world,” Bacs explained. Bhagat, at home in Mumbai, India, and a jewelry creator for Hollywood and Bollywood stars alike, is not only a jeweler, but a watch collector as well. “His eye for aesthetics makes him a good choice for a well-rounded jury.” Claude Sfeir of Lebanon, likewise, is a watch collector, but also a gemologist and jeweler with a retail location in Beirut. There are also collectors with other functions in the watch world. These include jury members Sean Li (who is also now the editorial director of Revolution’s Hong Kong edition), Marcel Philippe (assistant district attorney for New York City), and Swiss countryman Patrick Wehrli (who owns a consulting company called Passion for Watchmaking). 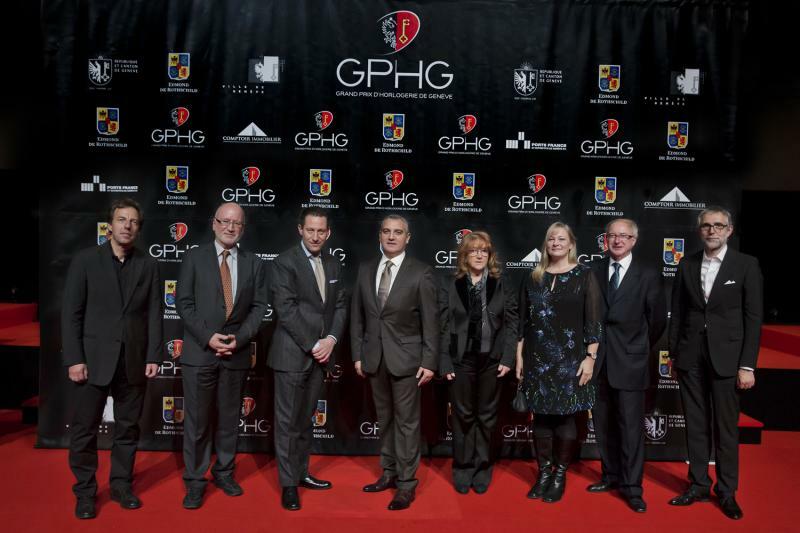 However, most eyes will likely be fixed on the two celebrity musicians serving on this year’s GPHG jury. Herbert Grönemeyer is a household word in Germany and Austria, perhaps one of the most popular musicians to take a stage in the Teutonic countries since the release of his epic album 4630 Bochum in the year 1984. Outside of Germany, he is probably best known for his role as Lieutenant Werner in the epic film Das Boot. A longtime Grönemeyer fan myself, I was surprised and delighted to learn of his passion for watchmaking and look forward to his interactions with the jury. John Mayer’s blues-inspired pop music is probably better known to English-speaking audiences than that of Herbert Grönemeyer. The 36-year-old musician, singer, producer and watch collector “Wants to be known as a watch guy,” jury member and owner of Hodinkee.com Ben Clymer recently told me. After reading through his Wikipedia biography and learning about his diverse interests, particularly in the field of design, this no longer surprises me. In fact, Mayer has penned a few columns for Hodinkee and recently participated in a video conversation with Clymer that explains some of his watch ideals. Watch it here to get your own impression of his watch expertise. Speaking of Clymer, founder and editor-in-chief of Hodinkee, it is worth noting that he is not only one of nine journalists on the jury (the largest “grouping”), but the only blogger to ever be singled out with such an honor in the history of watchmaking. In a traditional industry such as watchmaking, it is nothing short of miraculous that such a thing has come to pass – and proves the quality of Clymer’s work since founding Hodinkee in 2008. I spoke with him about this recently. Jean-Philippe Arm, editor-in-chief of Watch Around in Switzerland, also serves on the jury for the second time this year as does Alexey Tarkhanov, Paris correspondent for the Russian publication Kommersant. Nick Foulkes, historian, author and contributor to the UK’s Financial Timeshas joined the GPHG jury for the first time this year. The four women present on the 23-person-strong jury all happen to be journalists. This figure represents the highest number of women ever on the GPHG jury, and also demonstrates the growing regard for strong female opinions in the predominately male-dominated field. Three of these women are horological specialists (Tomoko Kayama, editor-in-chief of World Wrist Watch in Japan; Paola Pujia, editor-in-chief of Orologi-Le Misure del Tempoin Italy; and myself), while Nazanin Lankarani is an independent French-Iranian art writer who frequently contributes to the International Herald Tribune and New York Times. It is important to understand that the jury can only choose from the watches that were entered into the ten categories of competition: Grande Complication Watch, Ladies’ Watch, Ladies’ Complication Watch, Men’s Watch, Men’s Complication Watch, Innovation Watch, Jewelry Watch, Artistic Crafts Watch, Sports Watch, and the “Petite Aiguille,” which only includes watches retailing for less than 7,500 Swiss francs. In a nutshell: if a brand has not entered, it will most likely not pop up in the awards unless it is somehow involved in the Special Jury Prize or one of the two new categories introduced this year: the Horological Revelation Prize (awarded to a young brand less than five years old or the mechanical creation of a young talent) and the Revival Prize (awarded to a contemporary reinterpretation or reissue of an iconic vintage model). Additionally, during the ceremony on November 15, one watch will win the Public Prize, which is awarded based on public votes. You, too, can vote right here. You can also follow the Grand Prix de Genève hosted by French actor and writer Frédéric Beigbeder live on November 15 even if you are not in Geneva by watching online at www.gphg.org or going to Tourneau’s exclusive reception celebrating both the launch of The Watch Book and the live broadcast of the ceremony in New York City, which takes place at the Tourneau Time Machine at 57th and Madison Avenue starting at 12:30 pm.